In the typography world, a glyph is simply an element of marking whether it is a single letter, a shape or a more intricate design. A good example of a glyph would be an exclamation point. Within the context of a statement or a sentence the exclamation point is part of the wording but if you take one exclamation point and place it in a design on its own, it then becomes a glyph. For more information on other elements of typography and graphic design, see the Understanding Graphic Design series first informational article Elements of Graphic Design. Now, zodiac glyphs are those same elements of marking but based on a zodiac theme. Graphic design items such as the symbols for the twelve signs of the zodiac and even the classic sun, moon and stars symbols can be used in desktop publishing projects that need a zodiac theme embellished upon it. 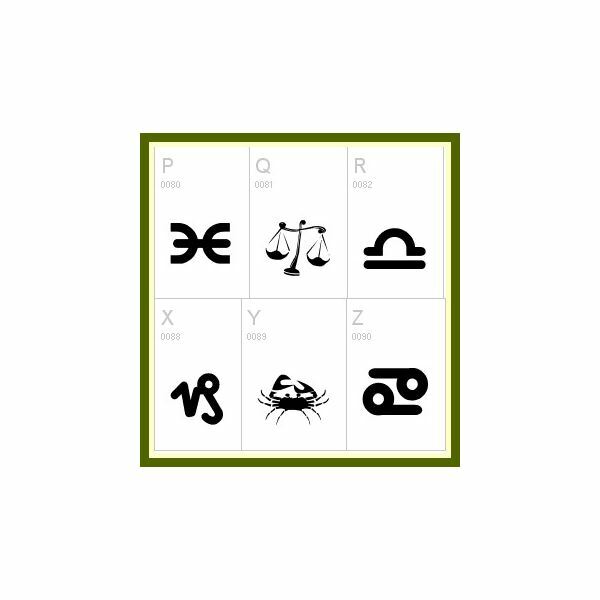 There are many graphic designers who have established collections that include zodiac glyphs for purchase. Here though, we are going to look at four free resources online that can be used for collecting your own glyphs. Start your own collection for free and you’ll have many types of zodiac glyphs that can be used again and again for several different types of desktop publishing projects. FontSpace is a well known and widely trusted source for various types of font collections. Some collections are purely created from decorative glyphs and it is in that vein that we find a wide selection of zodiac theme glyph collections that are offered for free download by the creators of each set through the website. The two zodiac glyph collections listed below are available for free download and can be used for commercial purposes. 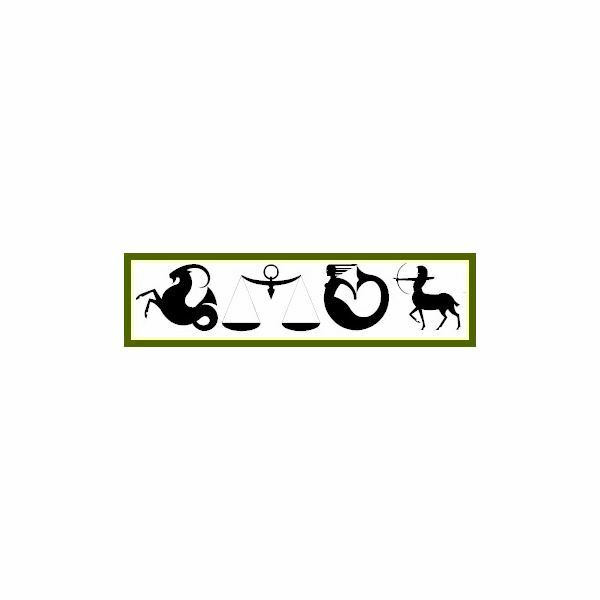 The website does have more zodiac glyph collections that are for personal use only and they can found here: Personal Use Zodiac. Each collection will have a direct link to its corresponding page on FontSpace, that way you can get check out each one to see if it fits your graphic design needs. The daFont website has more of an international flair than that of our previous listing. Offered in both French and English there are various world created font and glyph collections that are open for free download. here will be free for commercial use. The Astrology Weekly website is not really known for their free zodiac glyphs but for providing people all sorts of astrology related information. 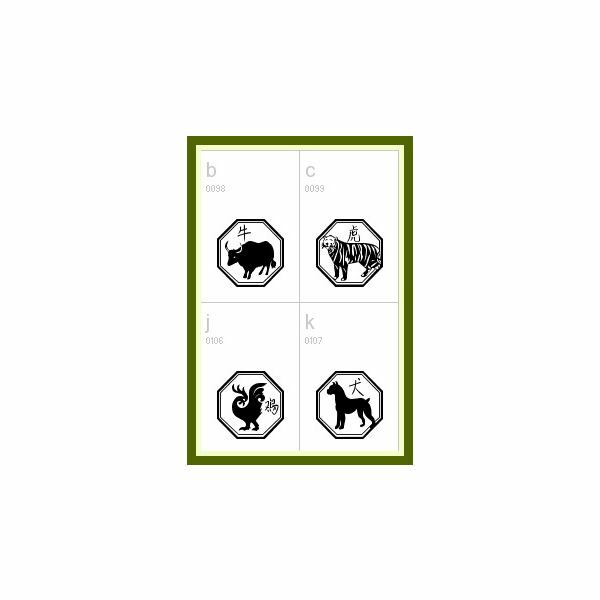 They do have a collection of zodiac symbol glyph groups that are free to use on certain pages within their site. Here we will list the type of zodiac collection and then direct link to the corresponding page at the Astrology Weekly web site. All symbol images are free for collecting, just right click and save. One area where not many people look for free usable glyphs is under free tattoo designs and patterns. On the free tattoo designs web site there are various zodiac glyphs based on each sign. All glyphs are done in black and white and can be right clicked and saved.